At Intertec, we’ve been busy developing eCart websites for our small to medium enteprise customers using a new breed of shopping cart software called Ecwid. Short for “E-Commerce Widgets”, Ecwid offers a free and flexible e-commerce suit perfect for selling products online. The beauty of Ecwid is that it is lightweight, flexible and super-powerful. It can be easily installed on any website by inserting three lines of HTML code, and is a great system for businesses looking for an eCart that is quick to install and deploy, and which provides a comprehensive range of eCart features. Ecwid seamlessly integrates with the business’ existing website, so our customers don’t need to modify their existing sites to accommodate an eCart. Ecwid uses a freemium model where businesses can sell physical or digital goods with no fee, or opt to pay $17 a month for a white-labeled widget or app with API access and the option to distribute discount coupons. Businesses that want to sell across the web but only manage a single catalog will benefit from Ecwid. Another Ecwid feature is that it allows businesses to set up a single store that can be embedded on Facebook pages, allowing businesses to leverage on social networking sites to help boost exposure and sales. Ecwid allows business owners to enable their existing website with eCart functionality very easily and without blowing the budget. 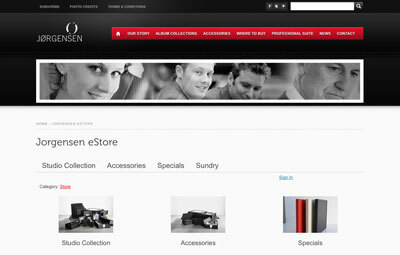 Check out our Showcase soon for examples of eCart sites we have developed using Ecwid. In the mean time checkout Ecwid.com for more info.